PayPal is most trustworthy site not only for Indians but also for foreigners. PayPal means that pay and get paid anywhere in the world where you are. 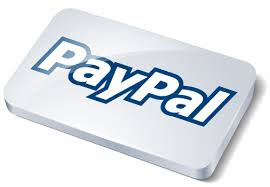 PayPal site is a tax free site by which you can send your personal payment to you family members and your friends. Here I’m going to define some basic terms that you have to exist for to complete your fund transfer and for better usage of PayPal. There are some guidelines given by the RBI to withdraw money and export fund in PayPal account, for that you must have PAN number and a bank account number in India. Whether you are staying in any other country rather than India but you need to have PAN card, purpose card and account number in India. There is provision to withdraw your fund automatically from PayPal account to your personal account within a day. If you have buyers and want to know about the refund then PayPal refunds immediately the refund money to your buyer’s credit card. The older rule that you cannot transfer 500 USD in one transaction is no longer applied; you can make transaction for more than 3000 USD. Logon to your PayPal account and look at the top section to withdrawn. Choose account type you want to use. Enter the amount you want to withdrawn. Enter the purpose number for withdrawn. The above information should be correct. There are no fees for sandbox registration.